Five rows of gleaming rhinestones dangle from a central rhinestone stud. 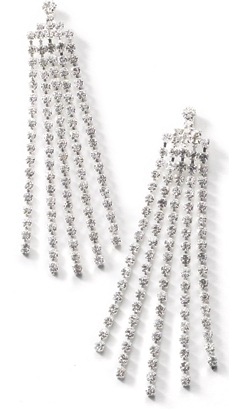 As you move, the light will shimmer from tassel to tassel, an ideal choice for adding a little zing to any formal gown. FWO Extra: Earrings measure 2 1/2 inches long and are for pierced ears.